Interventional oncology is the image-guided treatment of tumors. 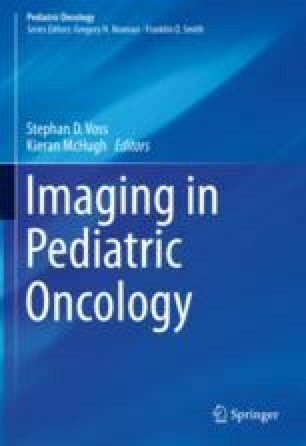 Procedures applicable in children with cancer include percutaneous ablation and transarterial therapy and are almost always performed under general anesthesia. Patients are typically referred following discussion in a multidisciplinary team meeting or tumor board. Percutaneous treatment may be performed with curative or palliative intent and without compromising the effectiveness of other modalities such as chemotherapy or radiation therapy. Several different forms of percutaneous treatment are available, including radiofrequency ablation, microwave ablation, and cryoablation, but the evidence base for each is still quite limited. Intraarterial delivery of anticancer treatment is attractive, in principle, because of the potential to increase local effectiveness with reduced systemic toxicity. Various techniques are used in children, most commonly for the treatment of retinoblastoma and liver tumors.